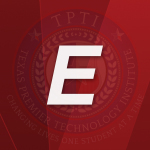 Texas Premier Technology Institute, Inc., (TPTI) is a Texas Non-Profit Corporation – Licensed Career School of Texas (S4597) established to prepare students for the burgeoning Information Technology industry. 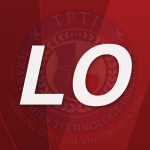 Our integrated instruction and programs prepare students to excel in the competitive world of technology. 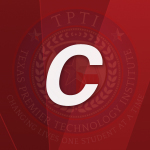 Upon completion, TPTI students are also prepared to take exams offered by our partner channels: Microsoft IT Academy, Cisco Net Academy and CompTIA. 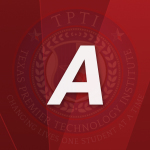 TPTI students can work toward a wide range of certifications as they are guided and taught by our certified instructors, all of whom are experienced subject matter experts. Our Learning GPS or direction finder gives you a choice of programs and learning styles that is uniquely you. Integrated learning provides access to knowledge-rich, industry experts whose shared expertise and insight provide an elevated, learner-centric environment. Through leading by example with the expertise that comes only from doing, our seasoned instructors provide training that connects, inspires and achieves results. Students benefit from simulated real-world scenarios in an open, inclusive classroom format with real-time interaction and feedback. 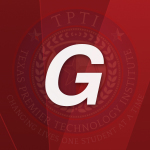 This special portion of our learning GPS gives students the opportunity to perform and execute what they have learned. Students thrive in an accessible anytime/anywhere environment, enabling them the convenience, flexibility and access to create their own learning approach. The five valuable components that we rely on here at TPTI. Evaluating your options early in the learning lifecycle will clarify your objectives and help you make better choices. You can then measurably determine the effectiveness of the program from a perspective of what you learned and what you invested. 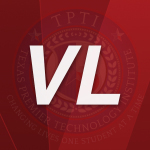 TPTI learner-centric training opens new pathways to achievement. Because students design their own, unique roadmap, absorbing new information and strategies is easier and less stressful. Add to that the innovative delivery methods of our skilled educators and the value of educational leadership. From labs to practice exams, you will enjoy a learning experience filled with tools to increase your retention and keep you ahead of the learning curve. The resources and mentoring you need are available whenever, wherever. 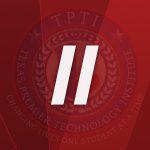 TPTI students have access to mentor/advocates whose singular role is to provide support and inspiration to keep students on a forward path. Our students never feel alone in their educational journey because they are solidly backed by experts who care. Through objective reviews students can feel confident they are achieving their goals or need improvement in certain areas. Assessing the value of the skills gained, students have a balanced understanding of where they are on their career path and how to best move forward.